noun: A society in which corporations control the government. 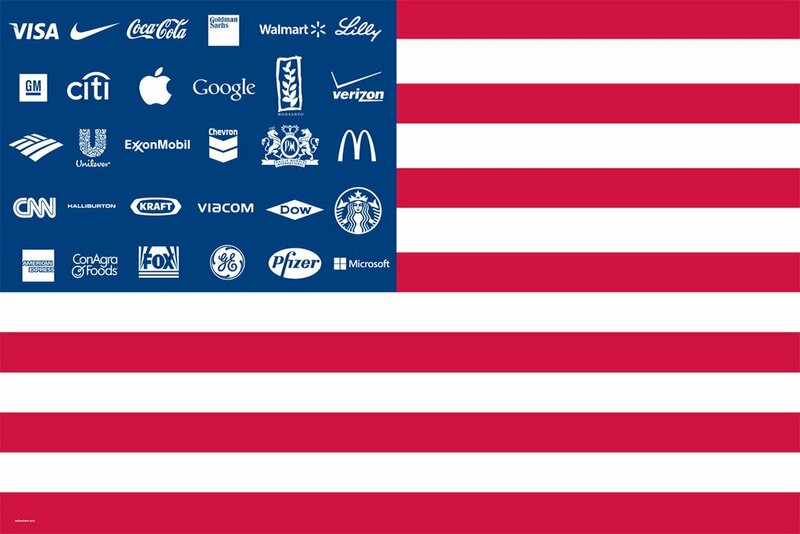 From corporate, from Latin corpus (body) + -cracy (rule). Ultimately from the Indo-European root kwrep- (body, form), which is also the source of corps, corpus, corpse, corporation, corpulent, corset, corsage, leprechaun, and corpus delicti. Earliest documented use: 1935. Earlier the word was applied to corporate bureaucracy. Over time the word has changed its meaning and now it refers to a system in which corporations control the government. Sabine Priestley; Twice Tethered; KAC Publishing; 2017.